I remember after the birth of my first child when everytone had left and I was alone with my son for the first time. I looked at him lying on the bed and realized I was responsible for this new life. How could I teach him everything he needed? I was terrified. I held him close and the two of us cried. They were tears of fear and tears of joy, but most of all, they were tears of love. Looking into his little face, I made a promise to my God that I have spent my life trying to keep. Was it different for Mary on that night in Bethlehem? Although Mary's calling as a mother was unlike any other, for she was chosen to raise the Messiah. Like any first-time mother she must have felt all the fear, all the joy and all of the love that comes with having a child. She must have marvelled at the overwhelming responsibility placed upon her. No mother can do this without guidance from above. When first He came to earth? 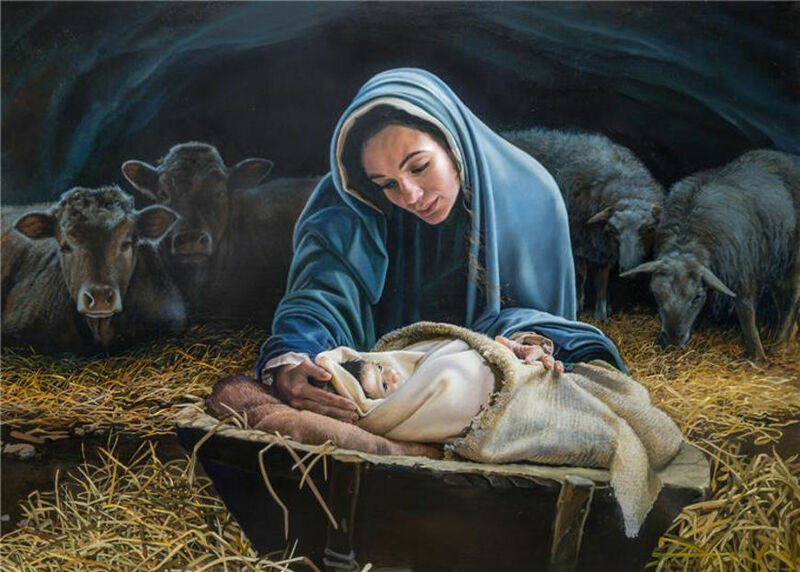 A stable at His birth. And so God Gave a better gift. He gave a mother's love. That gift above all other. He gives us through a mother.